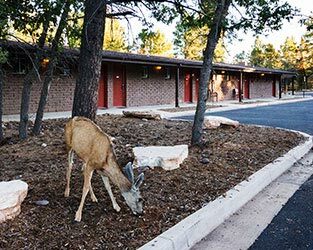 The following terms and conditions of Yavapai Lodge apply to your reservations and by making your reservations using our on-line reservation system you understand, acknowledge and agree to our terms and conditions. We reserve the right to cancel a reservation without notice if we become aware of or are notified of any fraud or illegal activity associated with this reservation. Availability can change at any time during the booking process. Your reservation is confirmed when you receive an email confirmation. Rates are based on single or double occupancy. Children age 12 and under do not affect the rate, but the rate will increase at Yavapai Lodge by $9.00 (not including tax and package components) per additional person age 13 and older in the room. 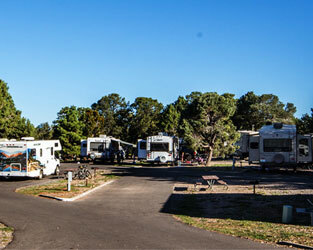 The rate will increase by $3.50 per adult at Trailer Village RV Park. 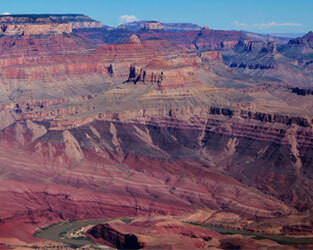 Yavapai Lodge check-in 3:00 p.m., check-out 11:00 a.m. 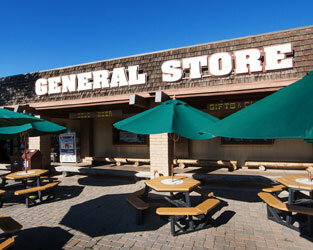 The Front Desk is located in the Registration Building near the General Store. Late check-outs may be requested, but are not guaranteed. The Front Desk is open 24 hours a day. For guaranteed arrivals, a notice will be posted on the welcome building door with your last name, reservation number, and the site number you are assigned, with a map so you know where to go. You may come by in the morning to register. For walk-in arrivals, if there is a site available it will be posted at the welcome building along with a map so you know where to go. You may come by in the morning to register and pay. All reservations require payment of the first night rate as a deposit. Some packages and special events require full payment at the time you make your reservations. Daily rates do not include applicable state and county taxes or charges for any other services. Rates are subject to change without notice and are not guaranteed. We must receive requests for cancellation of or changes to your reservation 48 hours or more prior to your scheduled arrival date for a refund of your deposit (refunds will be processed within two weeks of cancellation). Cancellations made within 48 hours prior to arrival will forfeit their first night's stay. Cancellation requests can be made by calling our Central Reservations Office at 877-404-4614. If you fail to arrive on the scheduled arrival date, your reservation will be canceled and you will not receive any refund or credit. We strictly enforce our cancellation/change policy and do not allow any exceptions. Special requests, when allowed, are at our sole discretion. They are noted and maintained in the reservation system; however, we cannot guarantee any specific rooms or locations you request. 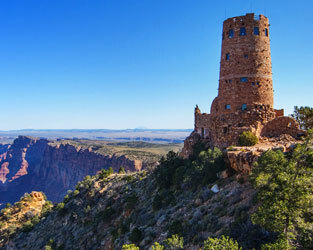 DNC Parks & Resorts at Grand Canyon, Inc.